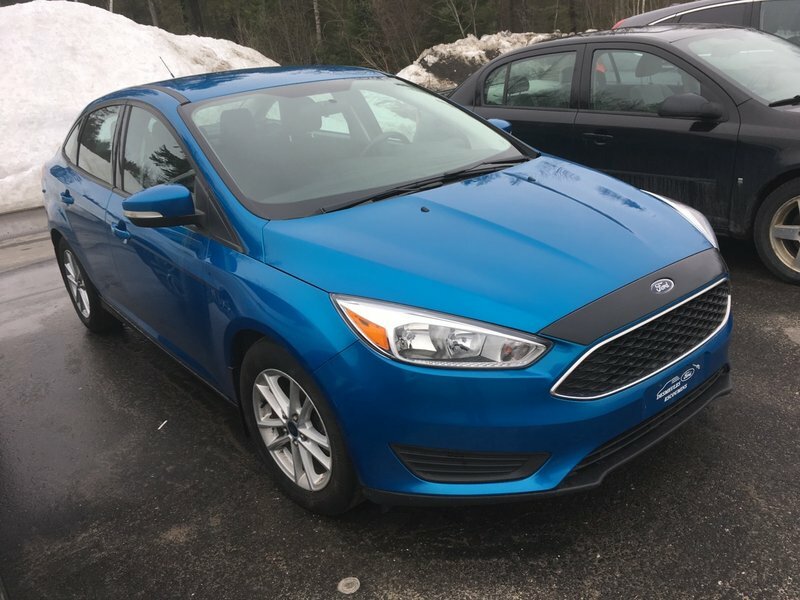 Synonymous with style, our 2015 Ford Focus SE Sedan in Blue offers impressive handling, efficiency, and absolute comfort! Motivated by a 2.0 Litre 4 Cylinder that delivers 160hp while connected to a fun-to-drive 5 Speed Manual transmission for an enjoyable ride. This Front Wheel Drive helps you to achieve nearly 6.5 L/100km on the open road. With fewer trips to the gas pump, you will have more time and money for the good things in life! Whether you're headed to work or play, the Focus SE is just simply fun to drive! You'll love the modern look with stylish wheels and automatic quad beam headlights! Everything in our SE was designed with the driver in mind from a trip computer, power accessories, rear view camera, front center storage console and plenty of head and leg room. You'll also appreciate MyKey and the SYNC voice-activated phone and audio player interface with Bluetooth, a six-speaker sound system, steering-wheel-mounted audio controls, CD player and auxiliary audio jack. This sedan has plenty of cargo space in the trunk to keep your active lifestyle on the go with you. The Ford Focus had a great reputation for safety with six standard airbags, electronic stability control, anti-lock brakes and tire pressure monitoring all ensure the safest ride possible. The Focus offers everything you need for a stylish, fun, safe and economical ride. Print this page and call us Now... We Know You Will Enjoy Your Test Drive Towards Ownership!